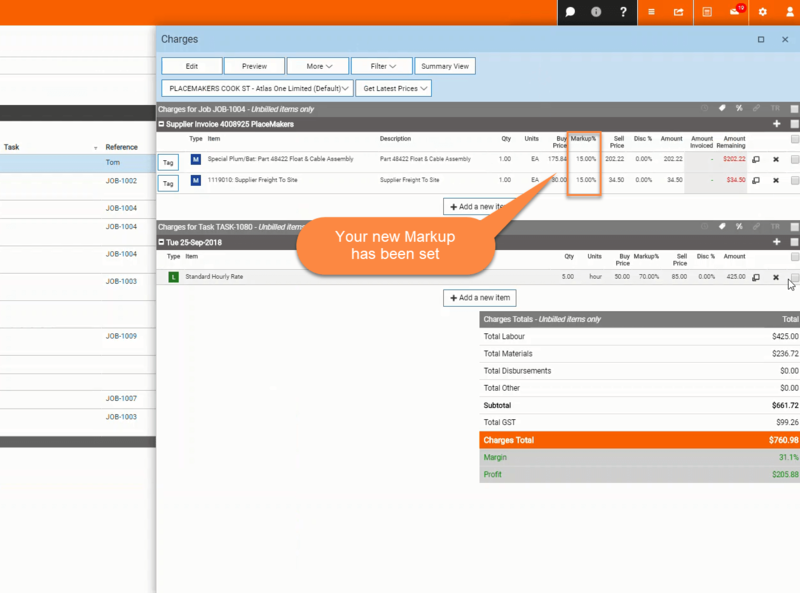 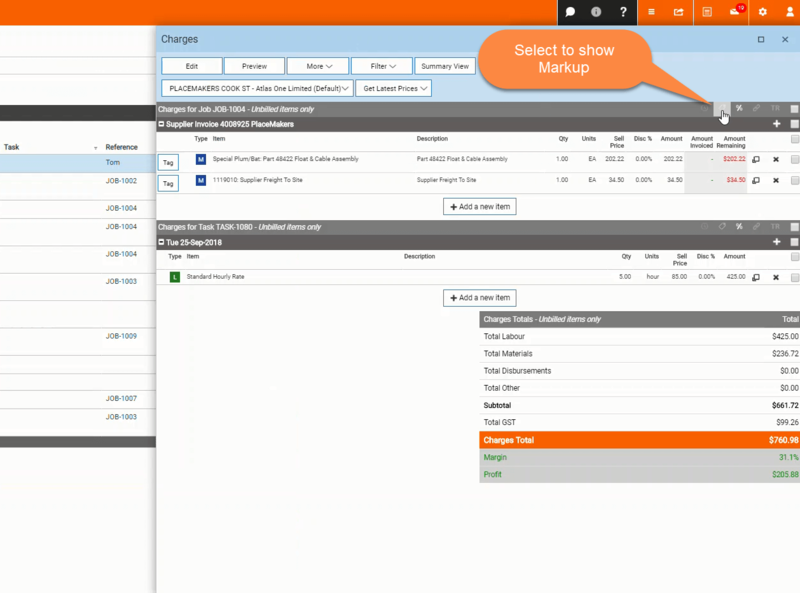 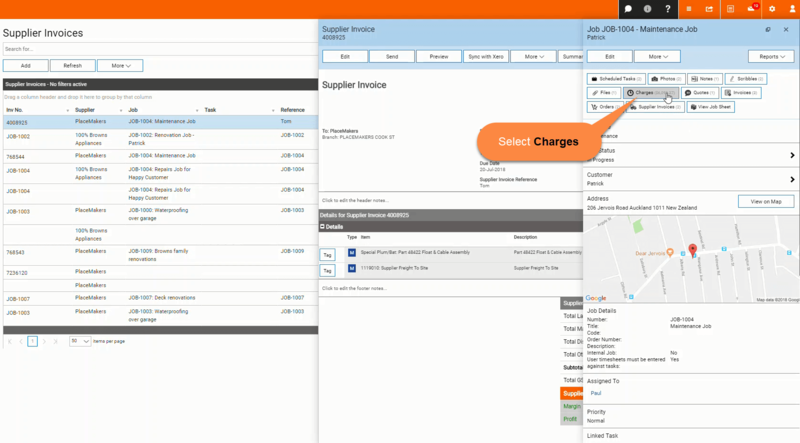 Set a Markup on Supplier Invoices - PlaceMakers customers – Welcome to the NextMinute support and feedback centre. 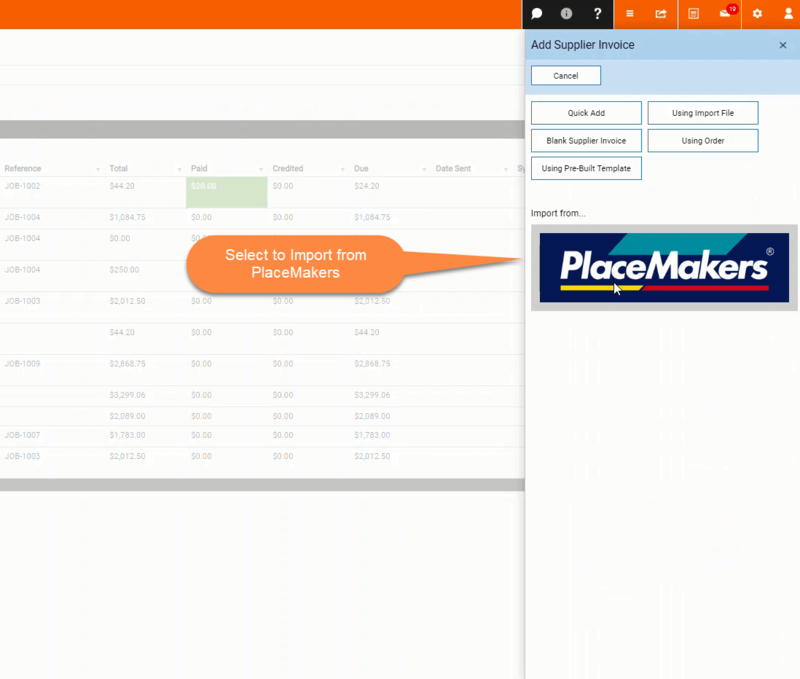 In this article we take you through the steps in setting a markup on a PlaceMakers supplier invoice. 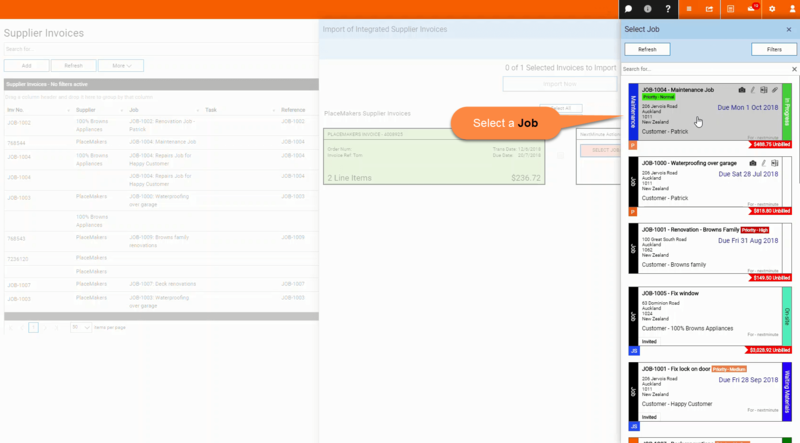 The markup won't show on the supplier invoice but will be shown under your jobs charges or the invoice you created for your customer. 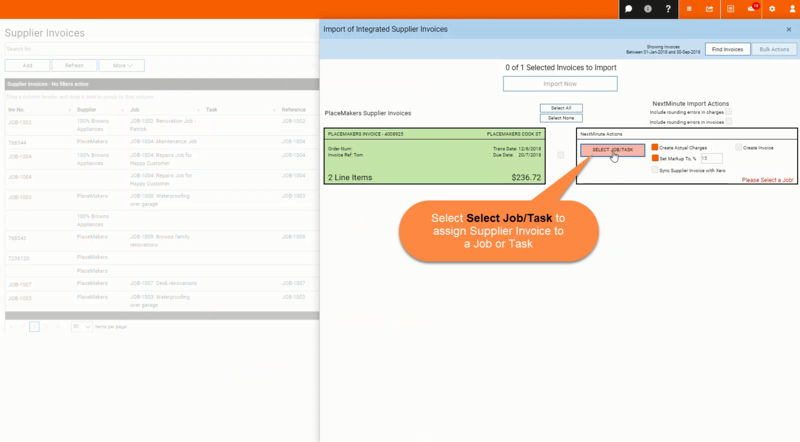 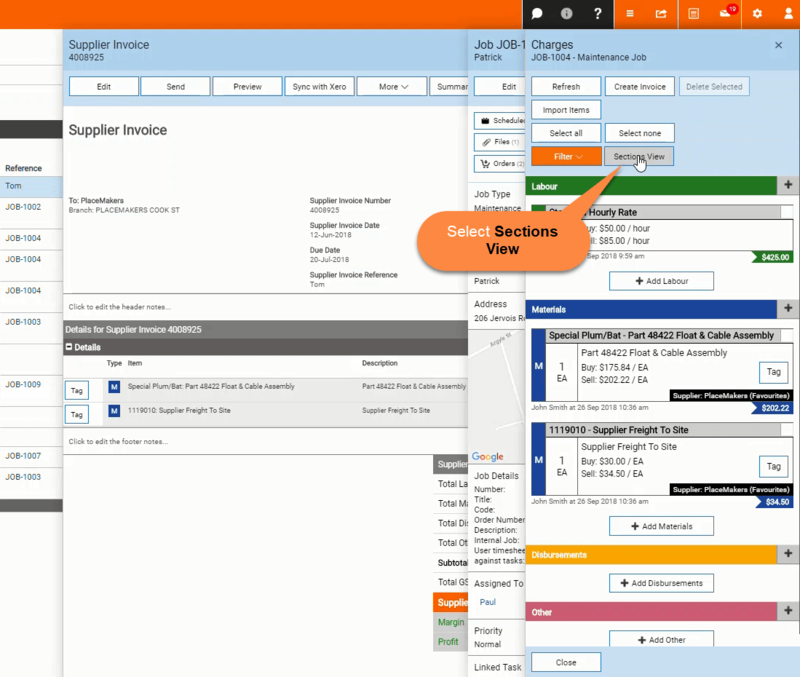 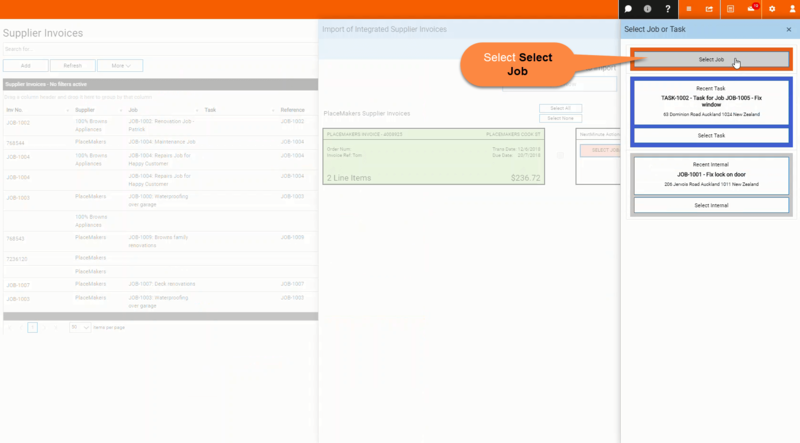 In this example we are selecting to assign Supplier Invoice to an existing Job. 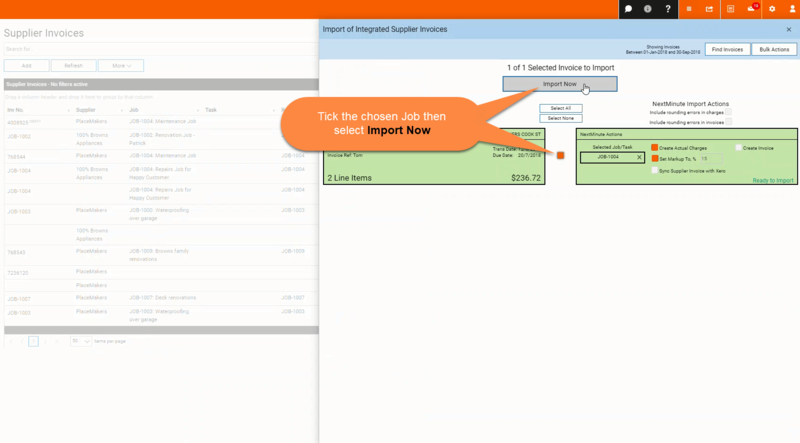 To see your new markup changes select the assigned Job against the imported Supplier Invoice. 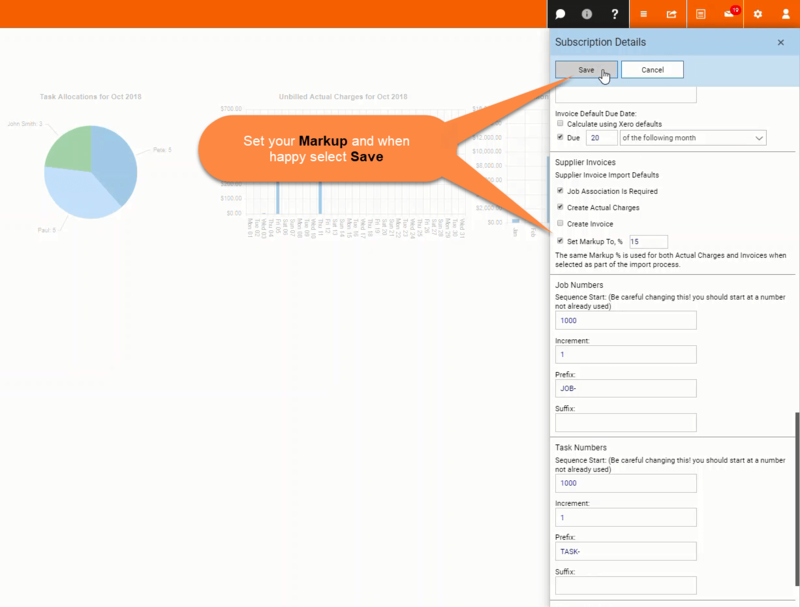 As you can see below, the new Markup has been set.